A motorcycle accident can happen in a matter of seconds. But the consequences of those few seconds can have far-reaching implications. You may be left in significant pain or even permanently disabled, with your personal and professional life disrupted. Don’t leave your fate to the insurance companies. It’s their job to minimize the value of your claim, which means you may not receive the compensation you need to recover from your injuries and move on with your life. Instead, hire Fernando D. Vargas as your motorcycle accident attorney in Rancho Cucamonga. It’s his job to maximize the value of your claim. 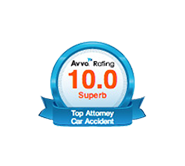 You can rely on him to handle every detail of your claim carefully and fight aggressively to ensure the at-fault party provides full and fair compensation for your injuries and suffering. He’s Experienced: Fernando D. Vargas has been handling personal injury cases since 1987. He knows the law and he knows your rights. He Gets Results: Attorney Vargas has an excellent track record of success in all kinds of motorcycle accident cases. 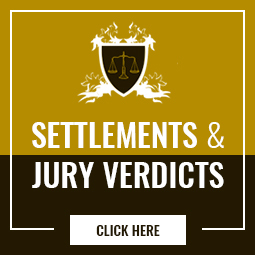 He is a skilled settlement negotiator as well as a tenacious litigator. He Cares: When you hire Attorney Vargas as your motorcycle accident attorney, you will receive unparalleled personal attention. He sincerely cares about the outcome of your case and you will have easy access to him for any questions. Hiring The Law Office of Fernando D. Vargas as your motorcycle accident attorney presents no financial risk, because we work on a contingency fee basis. Attorney Vargas will advance all the monies necessary to prepare your case, and you will not have to repay him or pay any other type of fees until after we successfully secured your compensation. If you or a loved one has been hurt in a motorcycle accident, The Law Office of Fernando D. Vargas is here for you. Call us at 877-982-0707 any time 24/7 and we will arrange for you to have a free initial consultation with Attorney Vargas ASAP.